The Phoenix has returned! Sweeping down from the stratosphere to once again merge with its favorite host, the Phoenix Force has returned to Comic-Con in the form of the X-Man Jean Grey, but in her White Phoenix look! 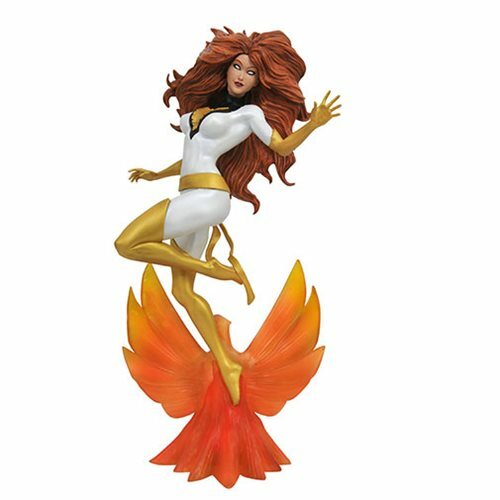 This white-costumed edition of Jean Grey as Phoenix captures the powerful entity in a frequently fan-requested look, and measures approximately 10-inches tall. Limited to only 5,000 pieces, she comes packaged in a full color window box. Ages 14 and up.